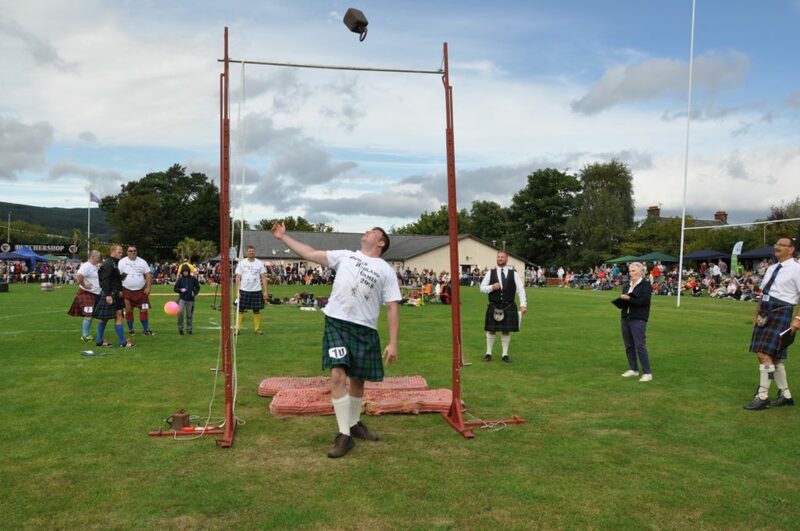 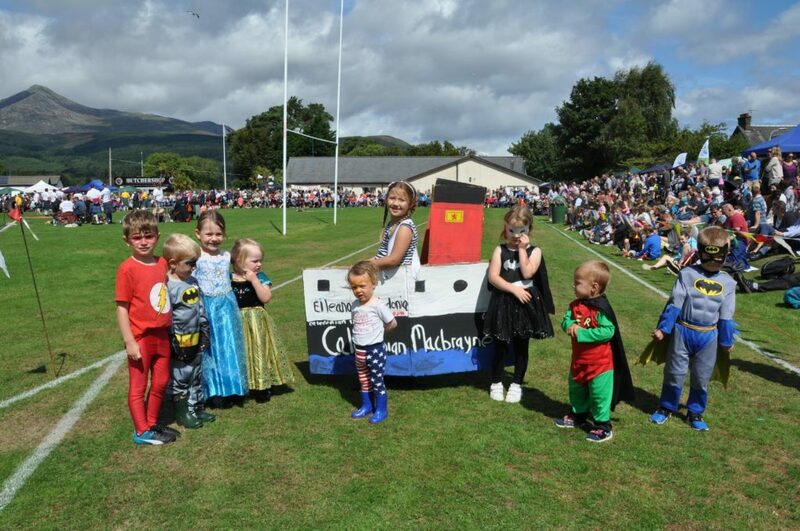 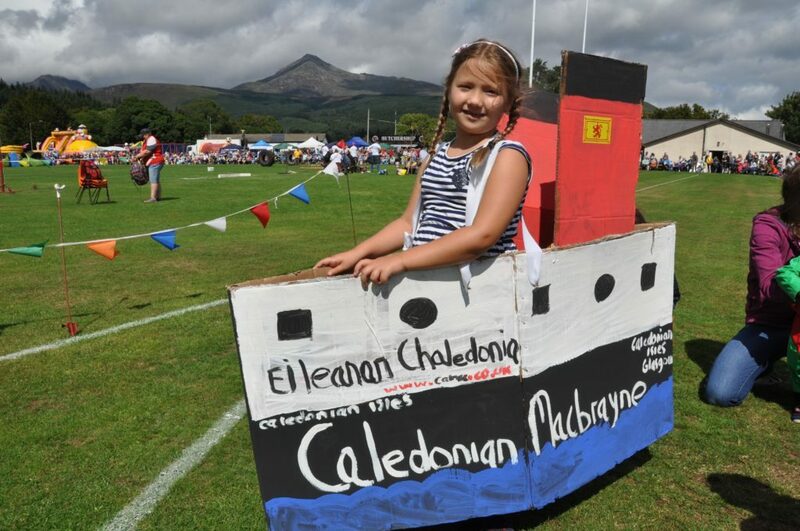 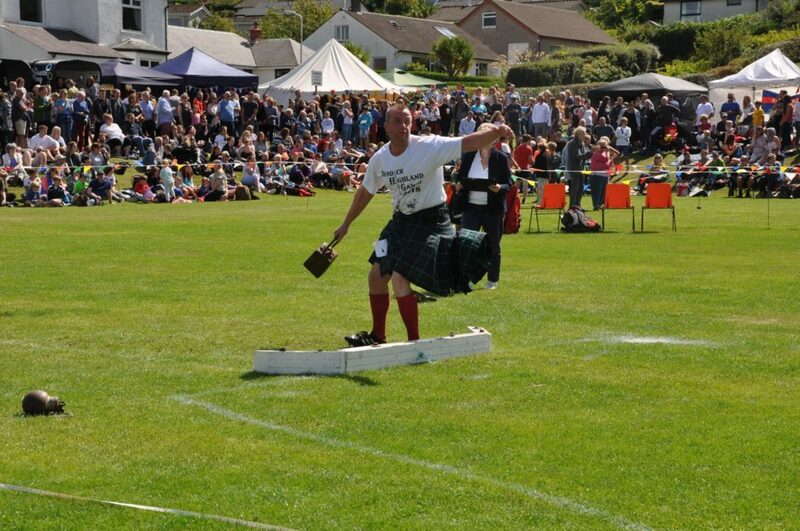 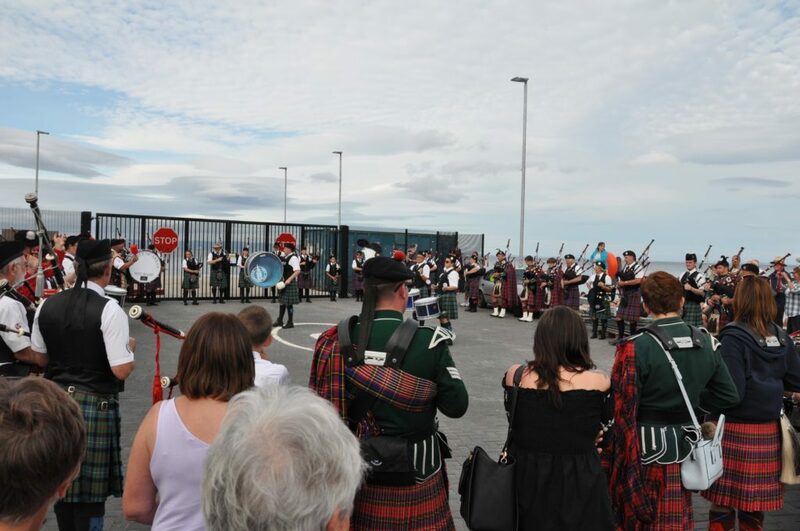 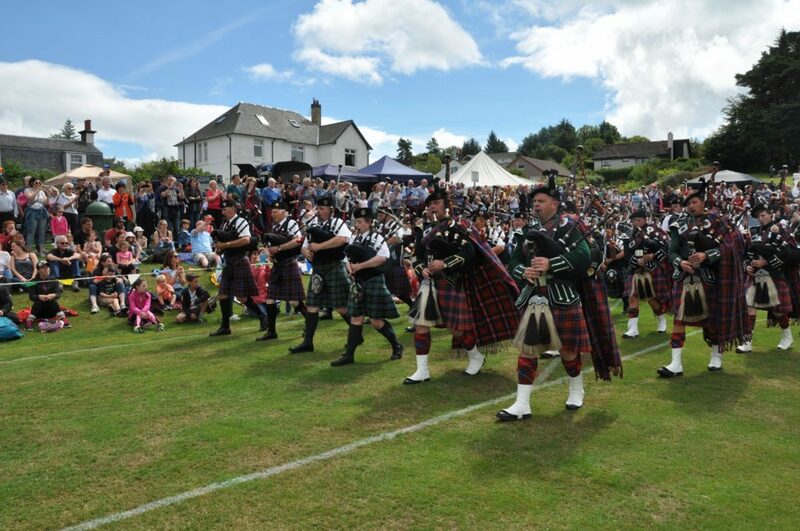 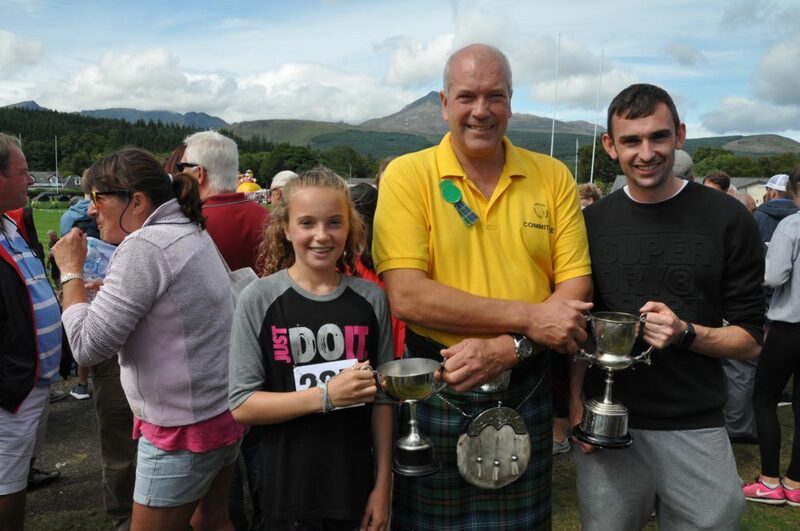 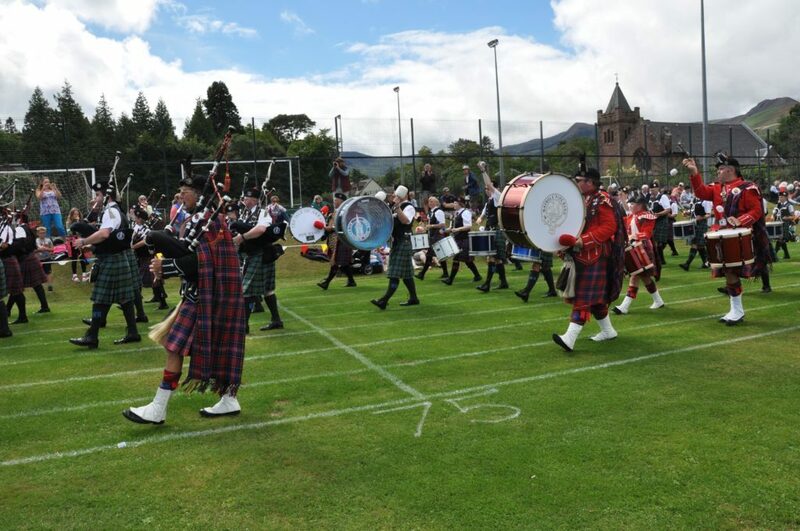 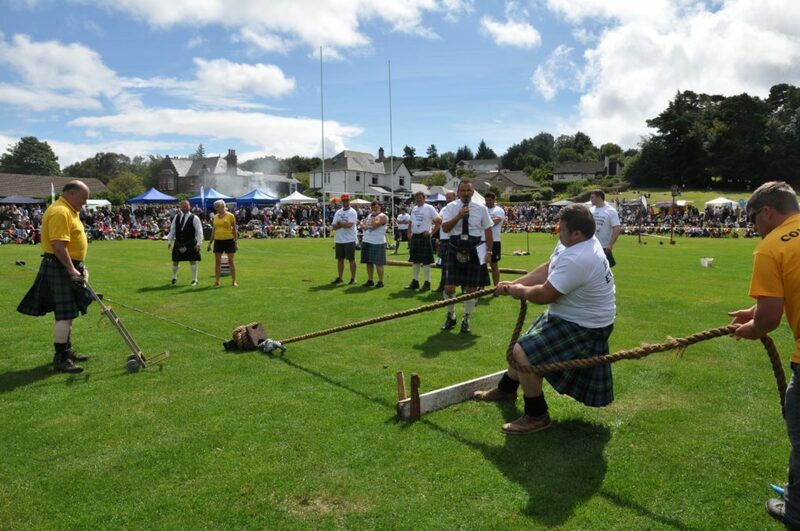 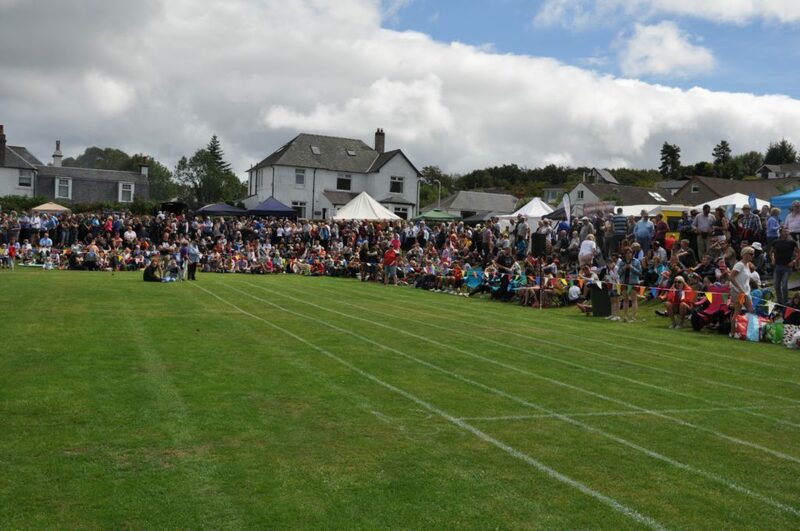 Brodick Highland Games never fails to deliver a day to remember – and this year was no exception. 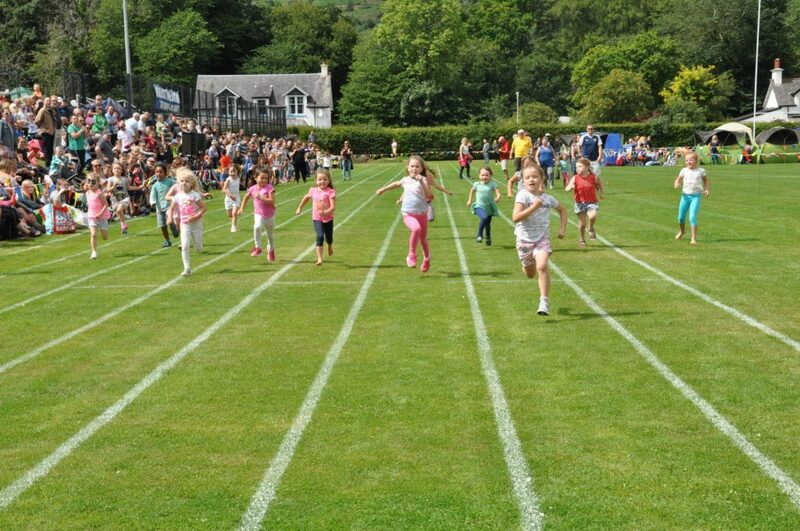 It was to be a year of first’s for the games. 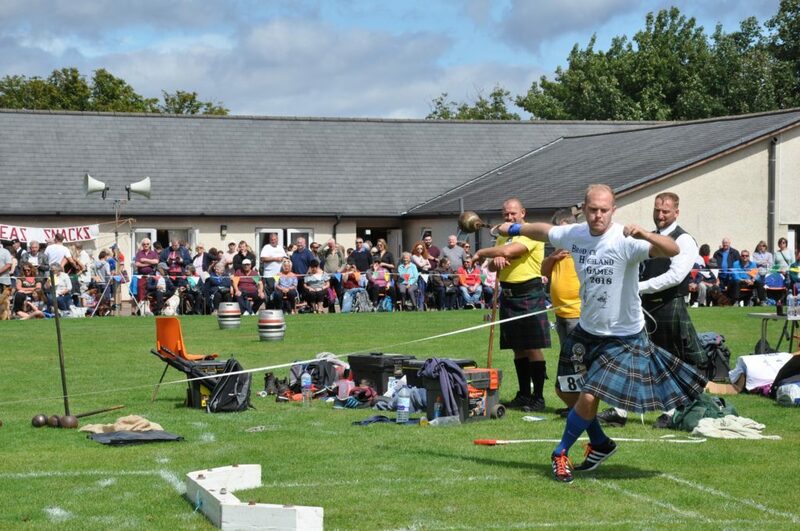 The first ever female taking part in the heavy events, the first ever outing of the Local Heroes Strongman Competition, the participation of a top German champion, also in the heavy events, and a 10-in-row title for Archie McNicol in the 100m race. 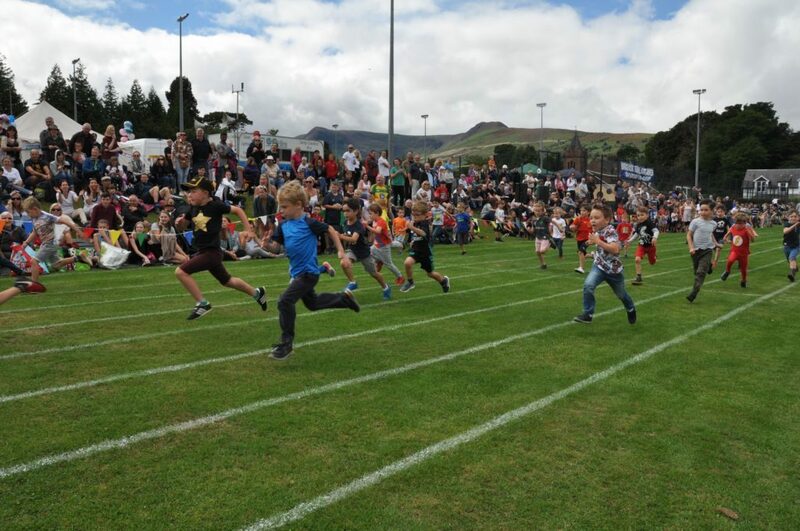 The weather was also to be kind to this year’s event last Saturday being dry and bright throughout the day and, while numbers may have been slightly down on last year’s record, more than 4,000 still packed into Ormidale Park during the day to watch all the action. 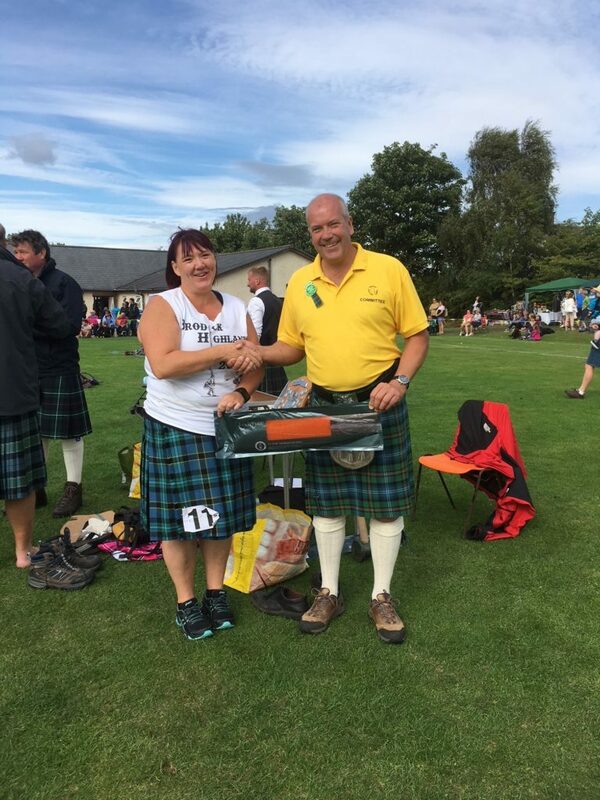 Yvonne Currie of Lamlash was the woman who put her mark on the heavy events and she performed well throughout the day. 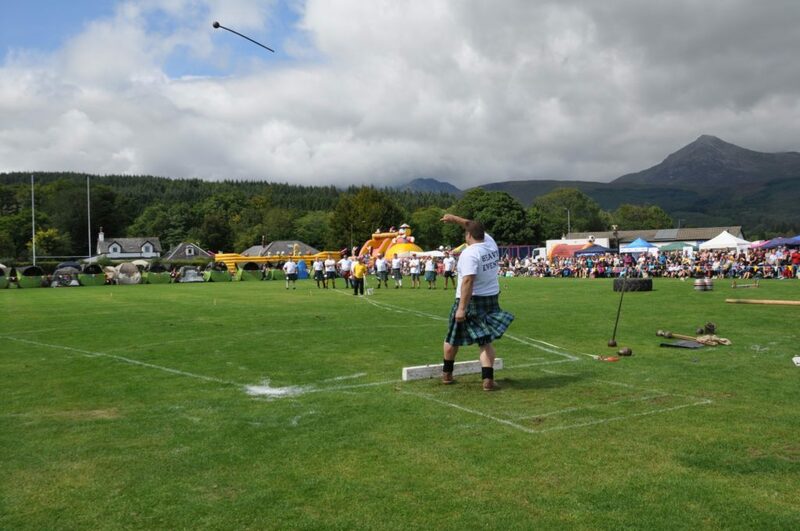 Yvonne admitted that in her 43-years living on the island it was her first ever Highland games – and what a way to start. 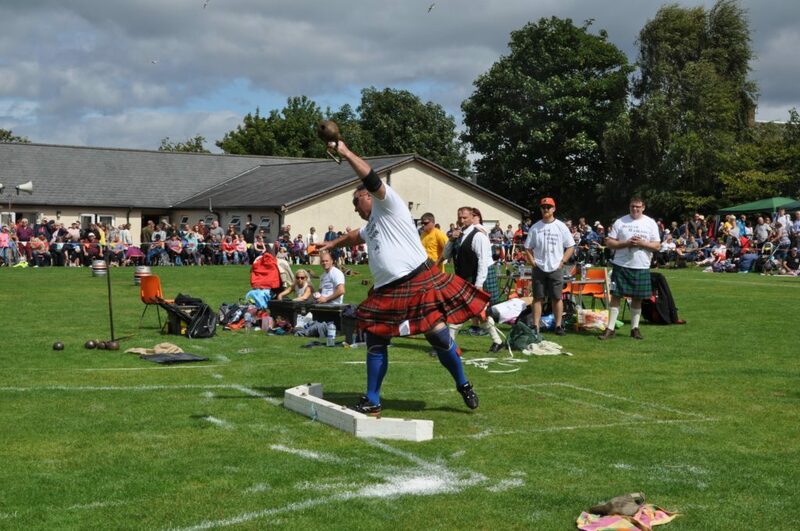 She was up against a big field of 11 heavy eventers including top German champion Daniel Dorrow, making his first appearance on Arran. 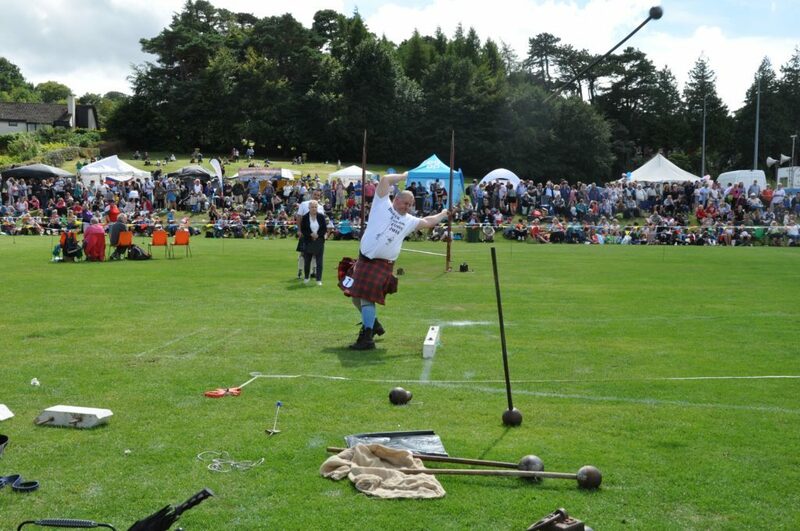 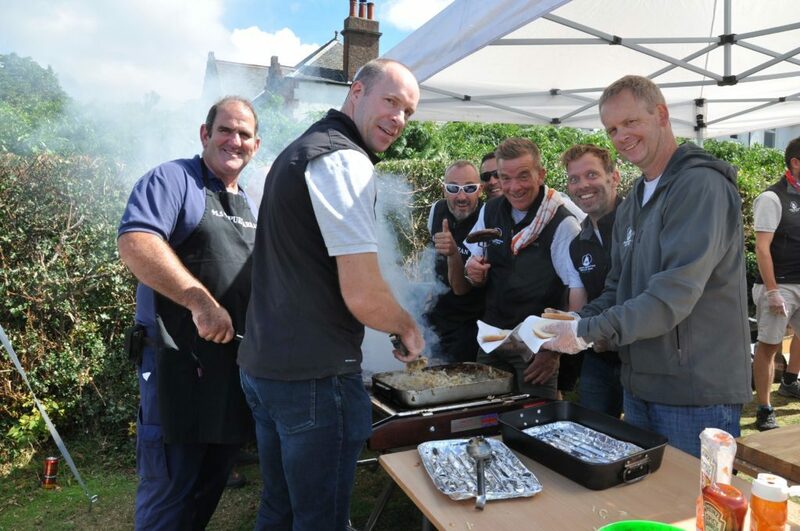 Local heavy event regulars Ernie Weir, Andrew Earle and Dr Rory Gilmore also took part. 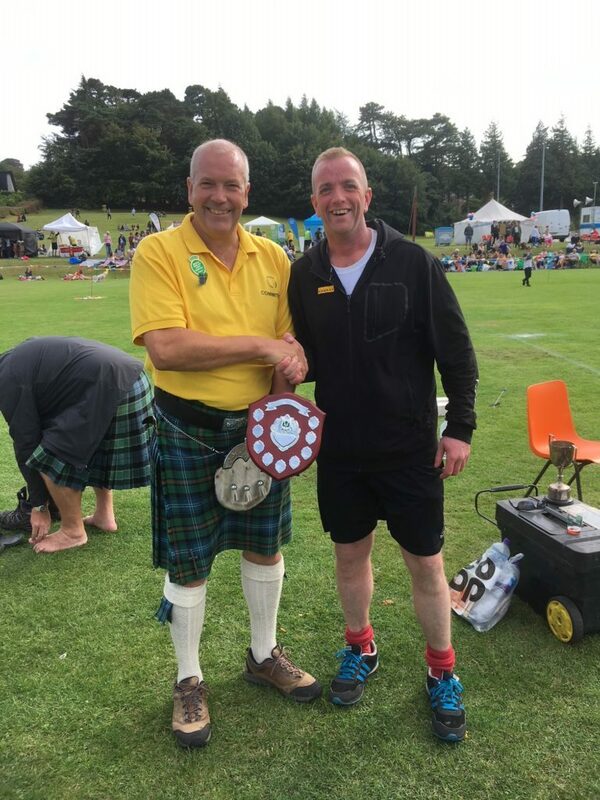 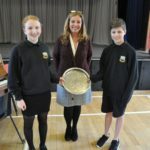 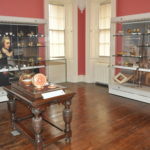 Following the competition Daniel walked away with Rev James Currie Cup, for the highest overall score in the heavy events, and there is a new name on the Rodden Middleton Rosebowl after he beat the hammer record. 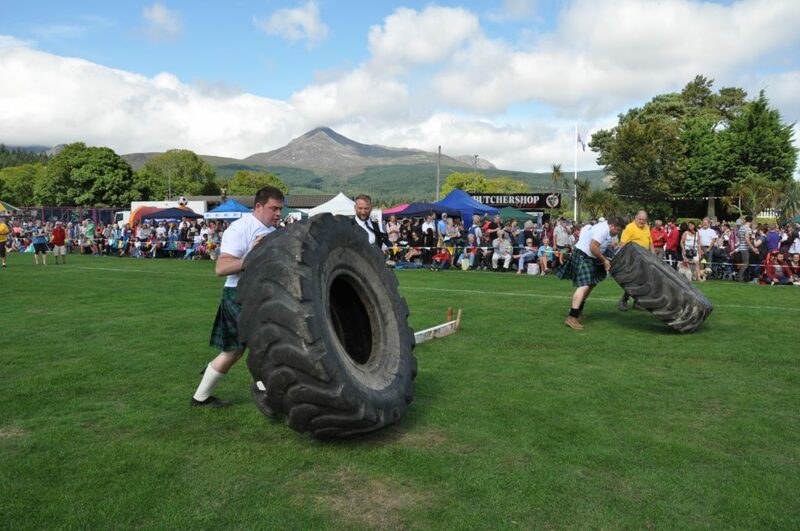 As well as the competition heavy events the contestants also took part in the strongman competition which included dragging an anvil, flipping giant tyres and lifting the ‘Stones of Density’. 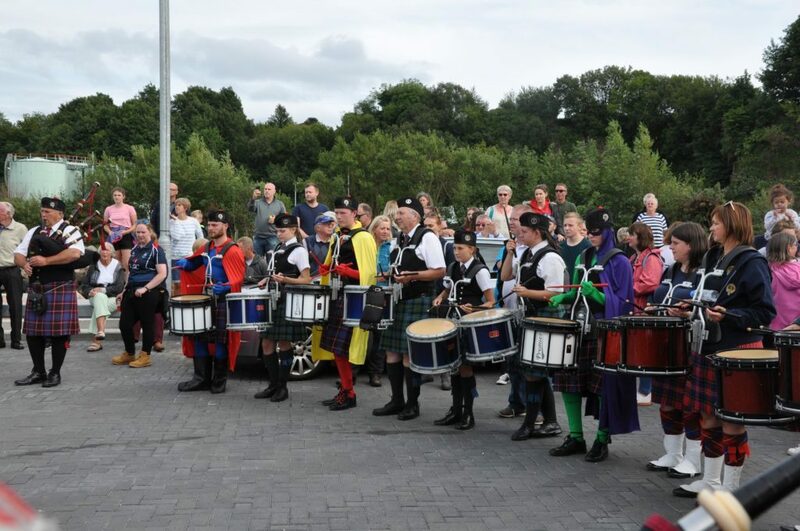 There were also appearances throughout the day by the pipe bands joining the Arran Pipe Band on the day Maybole Pipe Band and Kilbarchan Pipe Band. 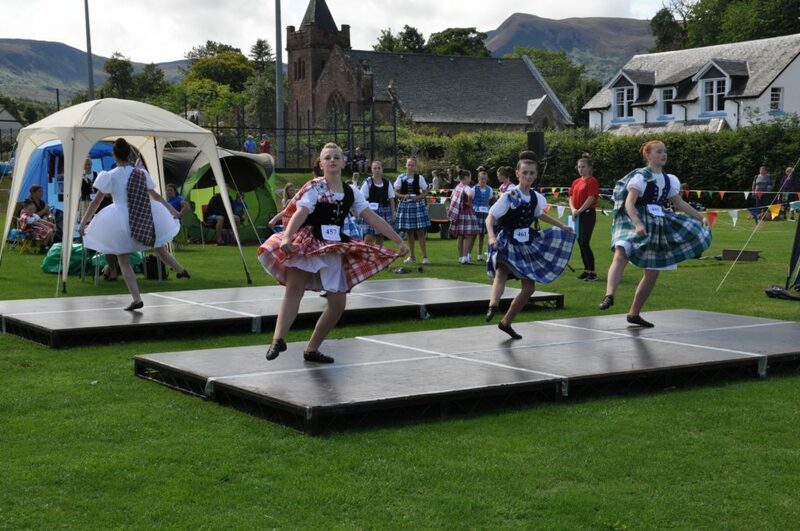 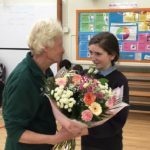 And the Highland dancing competition was also a big draw taking part for the first time at the far end of the field and run superbly by Anne Marie McGarry. 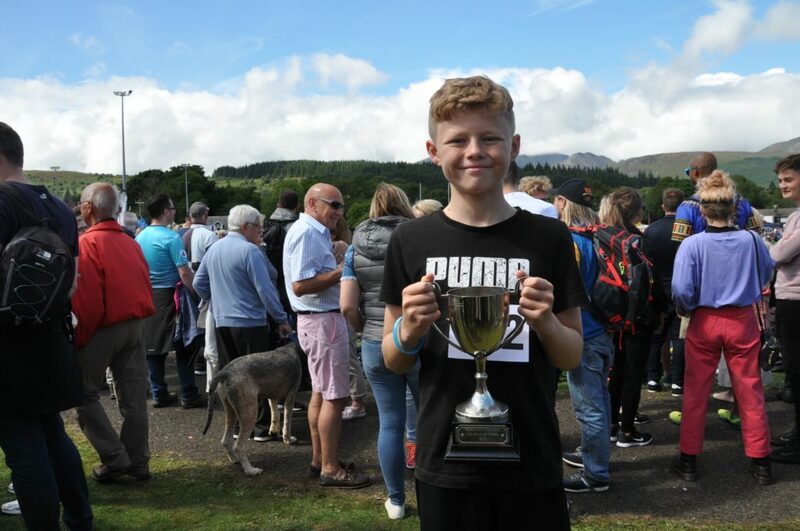 There was also fierce competition on the running track where Archie McNicol picked up the Lady Jean Fforde Cup for the 10th time in the 100m race. 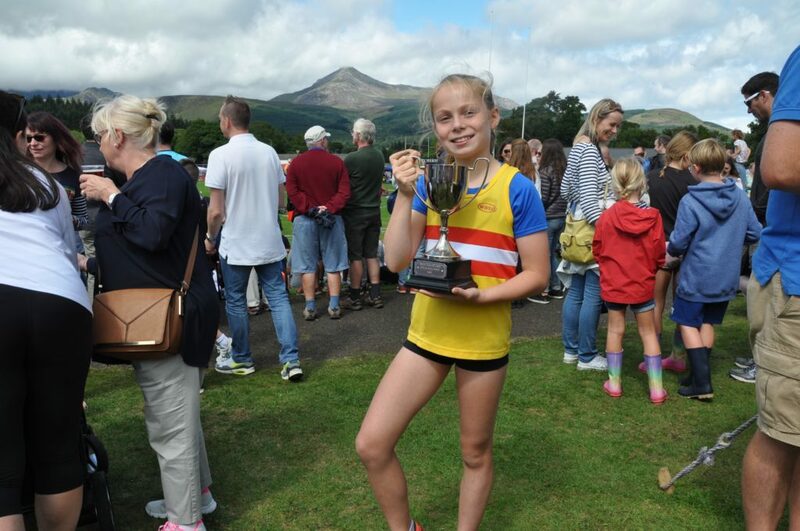 Isla McKelvie picked up the Bob Cameron Trophy for the 100m womens race. 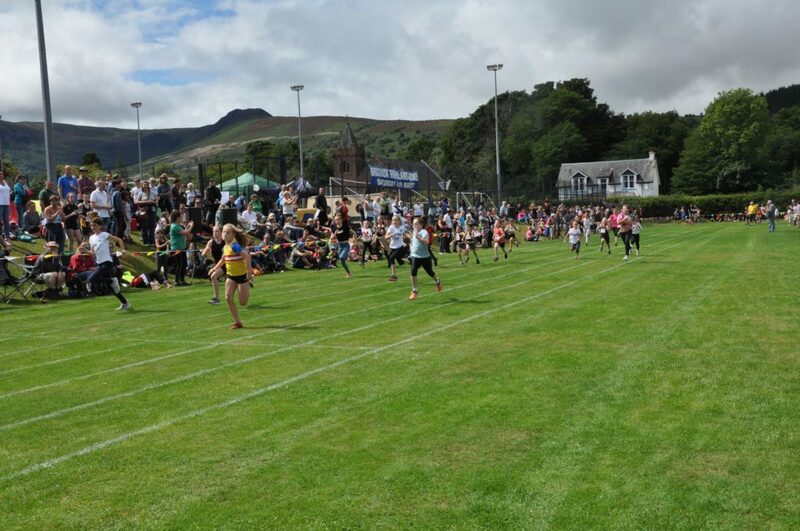 All the children’s races and the senior athletes took to their marks under the watchful eye of judge Bill Simpson from Ayrshire. 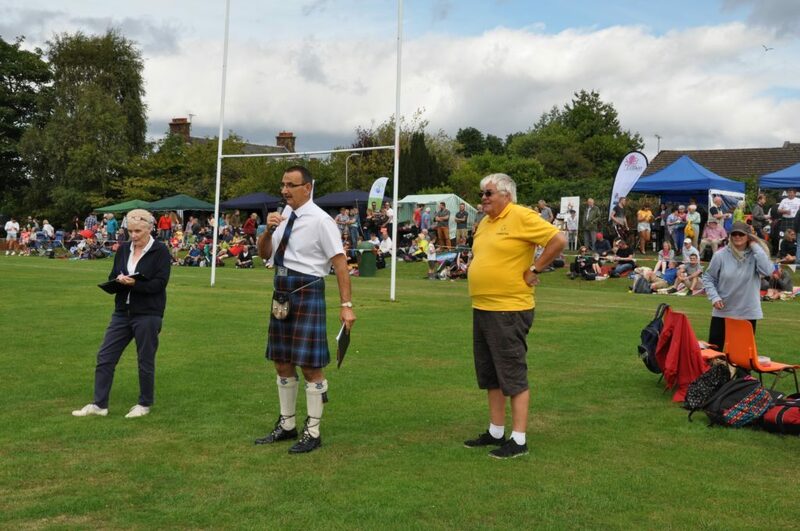 This year’s games were dedicated in memory of Hon President Lady Jean Fforde DL and President Steward Lambie MBE, who have both passed away since last year’s games. 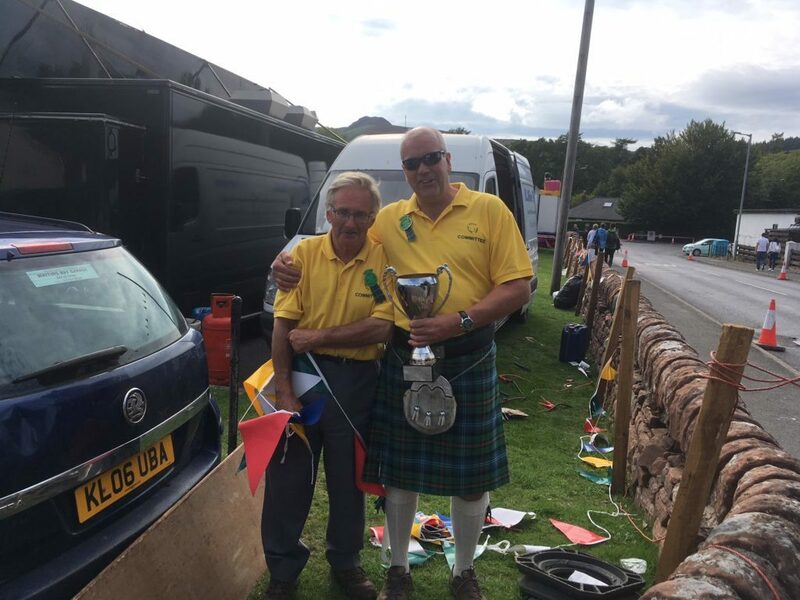 There was reward too for games stalwart Kenny Morrison who was presented with the MacMillan Trophy, awarded at the discretion of the games secretary, for his loyal and devoted service to the games over many years. 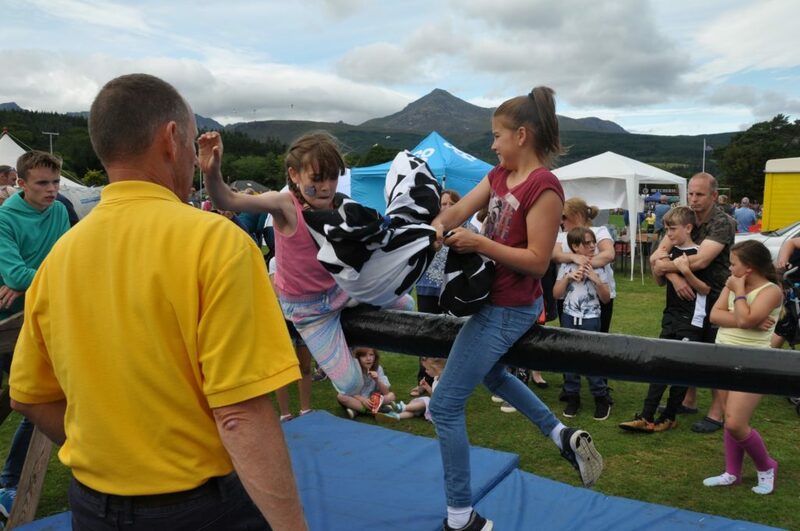 Throughout the day the burger stall of the Arran Mountain Rescue Team, and the other food and drink and charity stalls, did a roaring trade as did the kiddie rides.